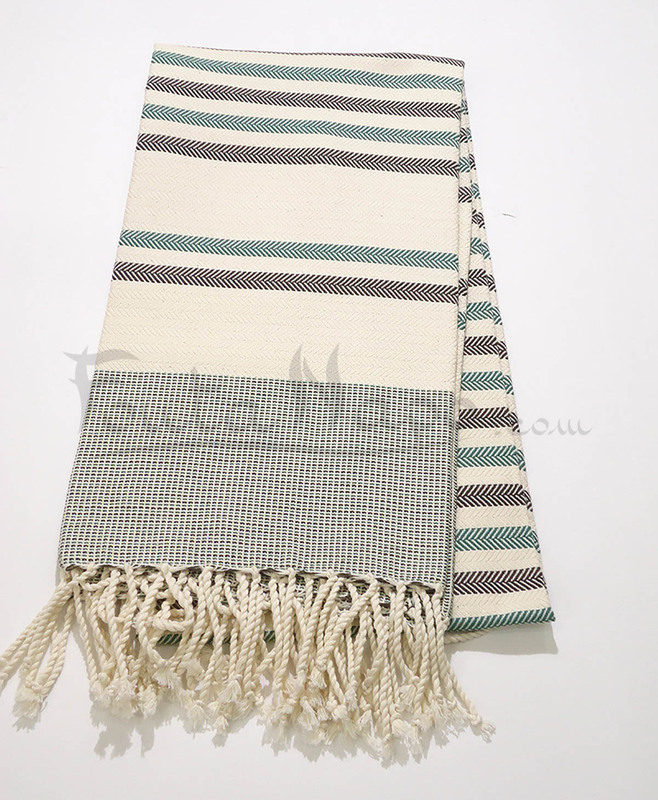 The fouta towel Chevron striped in White & Black & Green, is a beautiful towel . 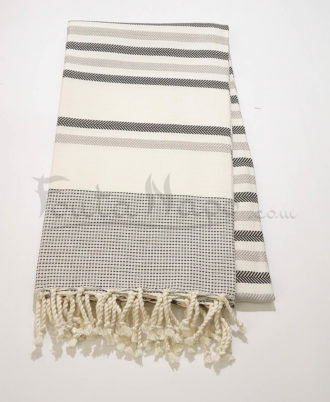 This fouta towel is 100% cotton and dries in an instant, making it the perfect companion for moments of relaxation. It will delight you with its sweetness and will come over your bag as well to go swimming as towel, you will like to put on your shoulders during the cool summer evenings.